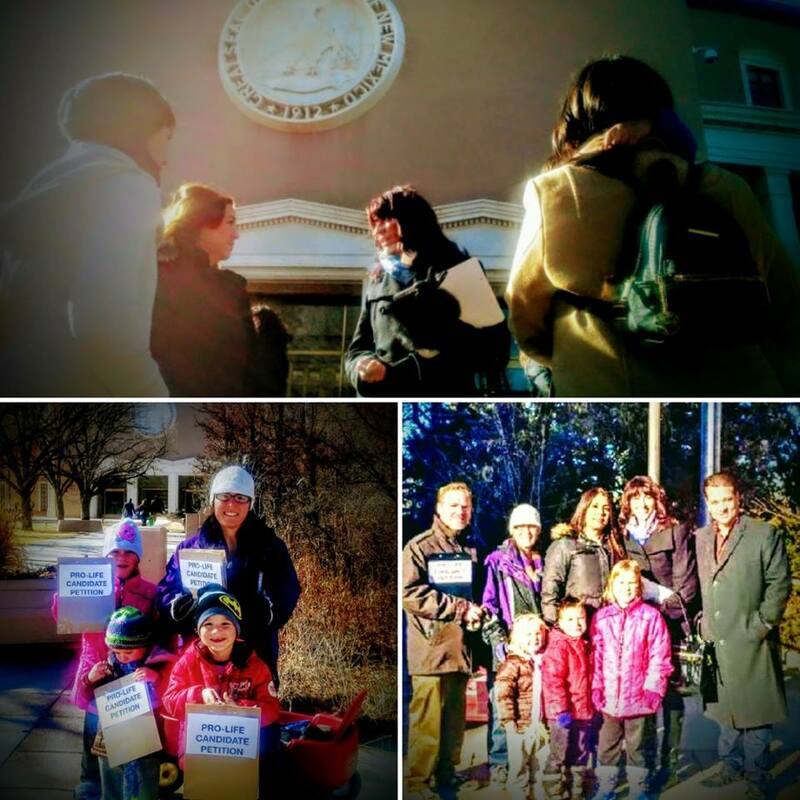 Santa Fe, NM – The state of New Mexico is considered by some pro-abortion activists as, “No. 1 in the nation for providing equal access to sexual and reproductive health services”…[ABORTION!] in addition, we are known as the Late Term Abortion Capital of America. New Mexico ranks near the bottom in yet another national report on educational achievement. New Mexico ranks as the worst-run state in the nation! This past week we joined our prayers with fellow pro-life Americans across the state of New Mexico and around our country to cry out to our Lord in repentance for 45 years of innocent bloodshed spilled all across our nation. On this 45th anniversary of the Roe vs. Wade Supreme Court Ruling (January 22, 1973) we must ask ourselves what more we can do to reverse this 45 year curse. 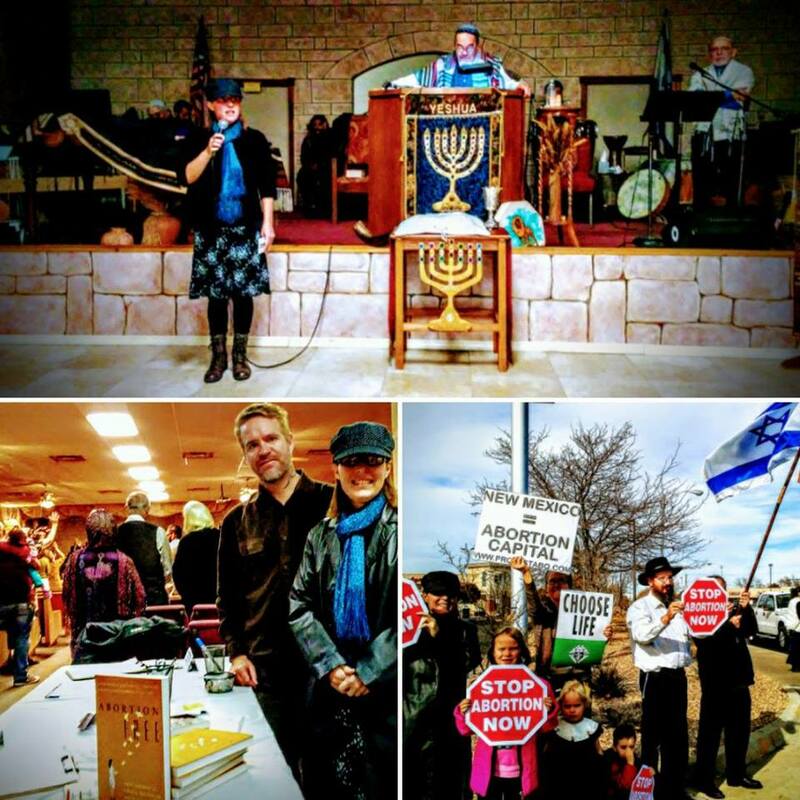 Wednesday, January 17, 2018: This past week we joined hundreds of fellow pro-life marchers for the Annual 2018 Sanctity of Life Awareness and Unity Day up in Santa, Fe to stand for life and send a strong message to the New Mexico legislature to enact laws to protect the most vulnerable community residing in New Mexico, those living in the sanctuary of their mother’s wombs. In addition, we were not there simply to march, we were also there to work and help get Pro-Life candidate, Michelle Garcia Holmes​ on the republican ballot for lieutenant governor of New Mexico for the 2018 upcoming election! 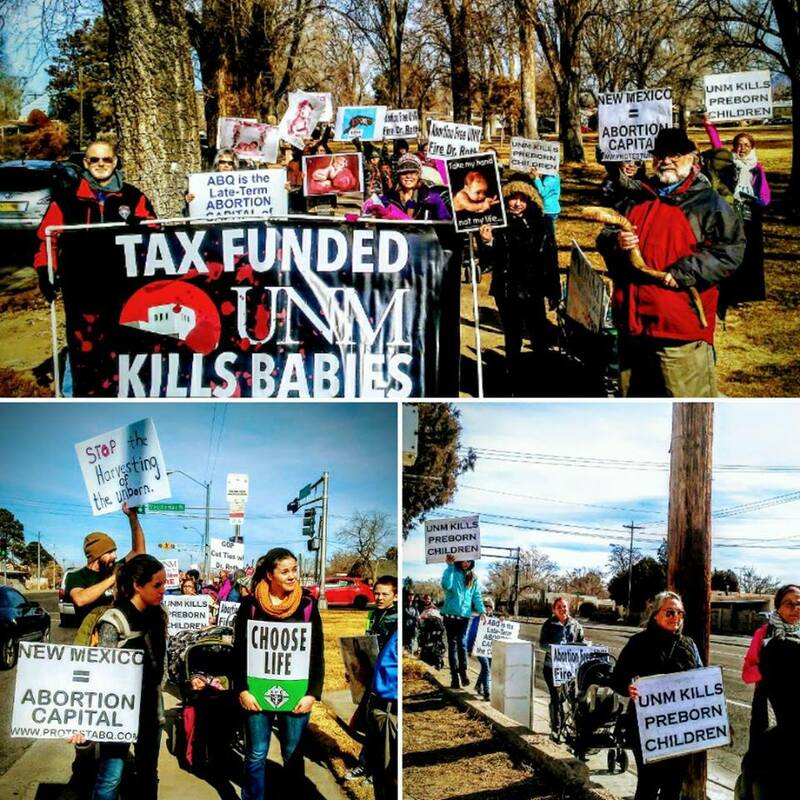 March for Life around The University of New Mexico – UNM, a major player in the abortion cartel in New Mexico. 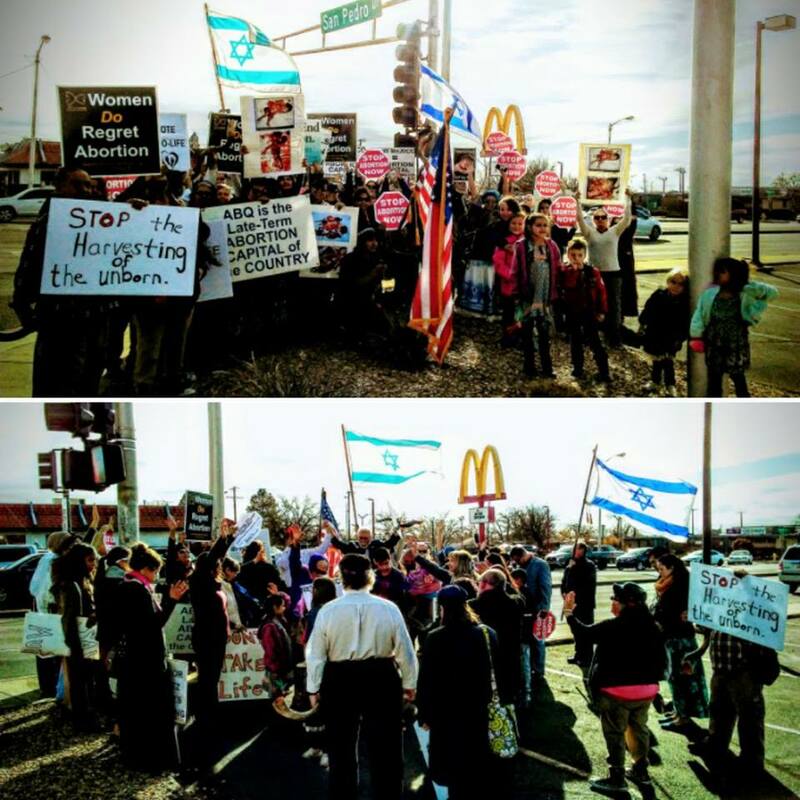 …and then we took our prayerful presence out to the streets to stand for life. Saturday, January 20, 2018. 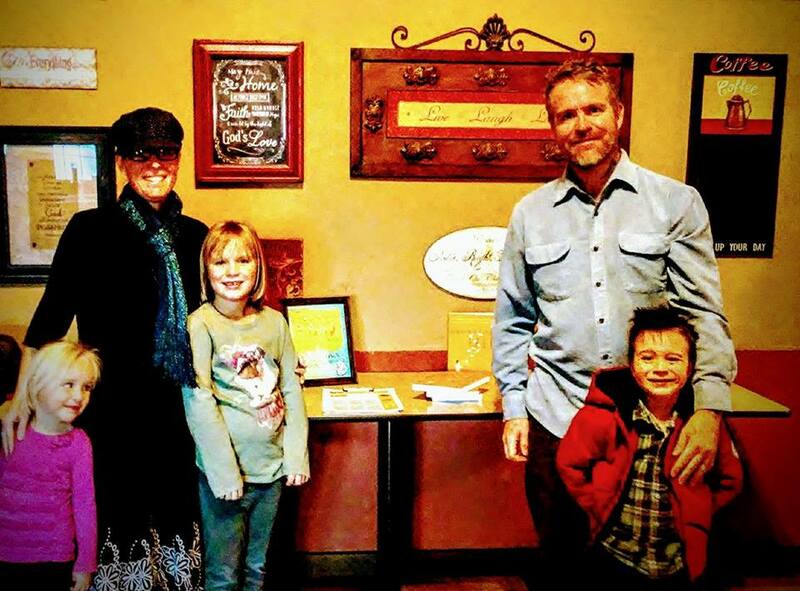 Sunday, January 21, 2018: Abortion Free New Mexico is visiting a different local church each Sunday this Sanctity of Life month 2018.We were at a church in Albuquerque, New Mexico for Sanctity of Life Sunday 2018. 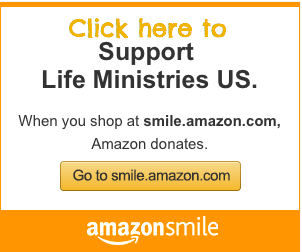 “As you all know Roe versus Wade has resulted in some of the most permissive abortion laws anywhere in the world. For example, in the United States, it’s one of only seven countries to allow elective late-term abortions along with China North Korea and others. Right now, in a number of States, the laws allow a baby to be [aborted] from his or her mother’s womb in the ninth month. We stand with President Trump and join him in calling upon the Senate to pass the Pain Capable Unborn Child Protection Act and send it to his desk for signing, thereby putting an end to painful late term abortions nationwide. To hear all the calls exposing elective late term abortions nationwide in our undercover series, go to PriestsForLife.org/LateTermAbortion.